To commemorate the signing of the United States Constitution, September 17 is designated by Congress as Constitution Day. On that momentous date in 1787, delegates to the Constitutional Convention affixed their signatures to the newly written Constitution of the United States of America. Accounts of the signing record that when Benjamin Franklin signed the document, "the old man wept." Various artists have depicted that emotionally overwhelming moment in America's history. Following is Helen Thomas Robson's rendering of the signing. My hope is that this photo will reconnect you to the miracle of America, our heritage, our founding fathers and the documents upon which our nation was founded: the Constitution of the United States and the Declaration of Independence. With Labor Day behind us, my campaign is well underway. I have been knocking on doors and attending events throughout the district. I also recently had the privilege of presenting a resolution commending the providers within the Historic Triangle Community Services Center for their efforts within our community. For 20 years, the facility has served the residents of our region. In case you hadn't heard, the building has been renamed the Messmer Community Services Center. Additionally, to commemorate Constitution Day, I spent yesterday working with volunteers to deliver copies of the Constitution to neighborhoods in James City and York Counties. Thank you to all who helped! RSVP today for next week's event! I am facing a challenger this year, and I need your help to ensure victory on November 3. Please reply to this email if you would like to volunteer or request a yard sign or bumper sticker. If requesting a yard sign, please include your address. Financial contributions are always welcome. Waging a winning campaign requires adequate resources, and your support is greatly appreciated! As always, if you ever need assistance with a legislative or state-related matter, please email me at DelBPogge@house.virginia.gov or call me at 757-223-9690. 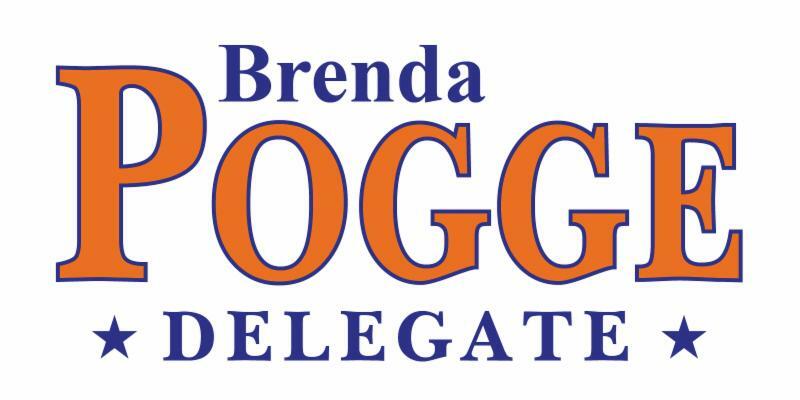 For campaign related inquiries, please email delegate@brendapogge.com.